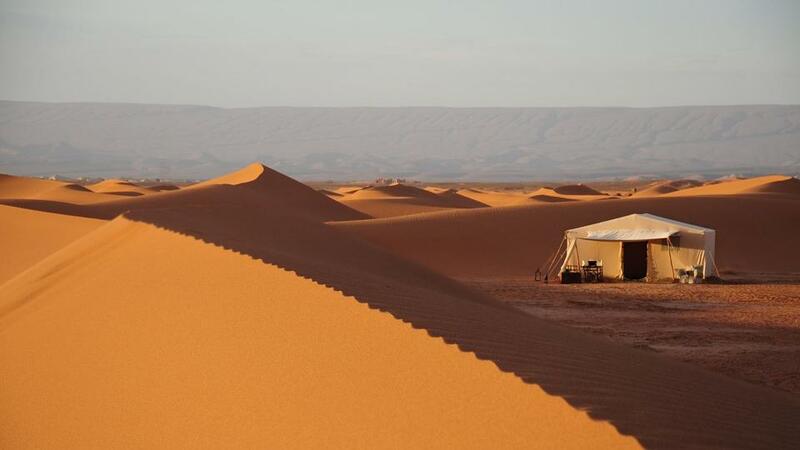 AZALAÏ DESERT MOROCCO CAMP located 3 hours from Zagora, south of the Drâa valley, the Erg Chegaga is one of the sites that every traveler dreams to discover the adventure Out Of Africa ... While respecting this imagination which makes the desert a magical and mysterious place, our camp offers a discreet and exclusive luxury that ensures all comforts in terms of comfort and service in respect of the environment. Lovers of large sand dunes and travelers looking for a new experience will find their happiness there.